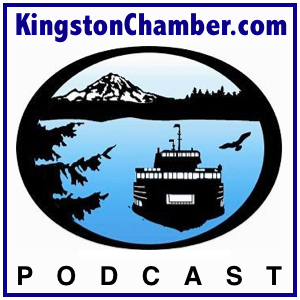 Join host Dr. Thomas Lamar of the Kingston North Kitsap Rotary Club as joins the administrative director of Kingston’s Stillwater Environmental Center, Naomi Massberg, at the Groundbreaking Celebration Party for the Stillwaters Fish Passage Over Carpenter Creek. Learn how this upcoming bridge construction over Carpenter Creek — which is the culmination of 11 years of diligent work — will benefit the salmon and other aquatic wildlife, as well as our Kingston Community. This entry was posted on Friday, June 24th, 2011 at 12:51 am and is filed under Environmental. You can follow any responses to this entry through the RSS 2.0 feed. You can leave a response, or trackback from your own site.